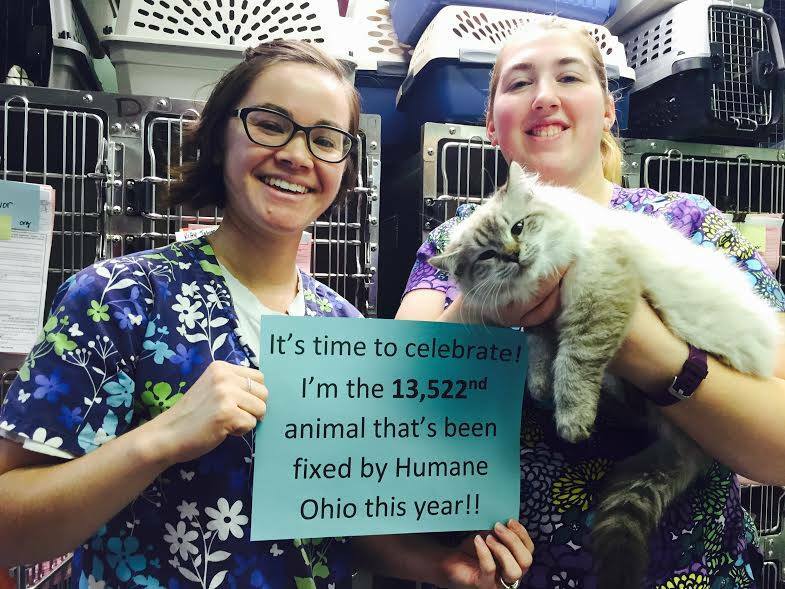 All spay/neuter surgeries are performed by our licensed veterinarians (DVMs) and all animals entrusted to Humane Ohio are attended to before and after spay/neuter surgery by licensed veterinary technicians. We also have a great team of trained veterinary assistants and administrative staff who help make it possible for us to spay/neuter over 15,000 animals a year! 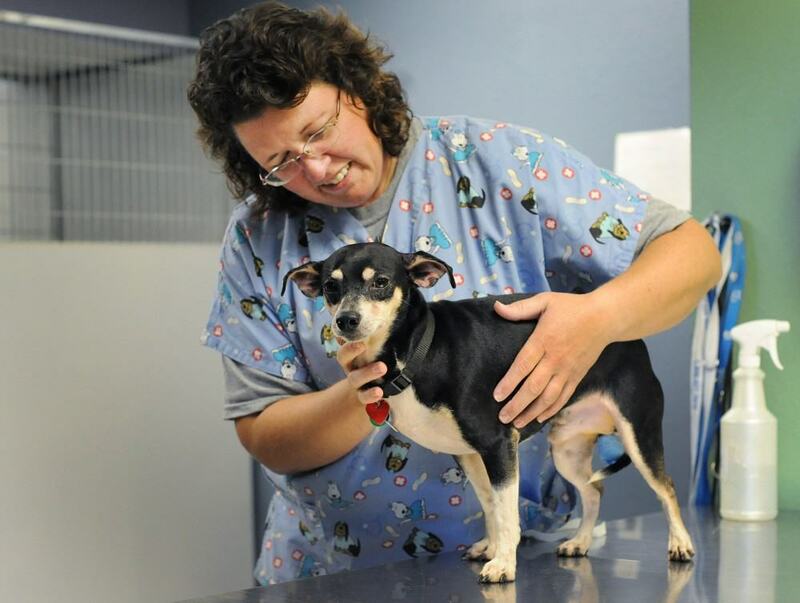 Dr. Monica Monto (DVM) is originally from Maumee, Ohio. She received her Doctor of Veterinary Medicine from The Ohio State University’s College of Veterinary Medicine in 2012 and a Bachelor of Science with a major in Animal Science in 2006. Dr. Monto previously worked as a HQHVSN veterinarian for a clinic in St. Paris, Ohio for two years. On weekends, she works for mobile low cost vaccine clinics. 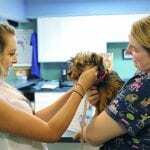 Dr. Monto works five days a week with Humane Ohio. She and her significant other, David, share their home and farm with a myriad of animals. Dr. Emily Aslesen (DVM) is originally from Madison, Wisconsin, where she graduated from the UW School of Veterinary Medicine in 2015. Dr. Emily got her Bachelor’s degree in Biology and Environmental Studies at UC-Santa Cruz in 2004 and a Master’s in Water Resources Management from UW-Madison in 2007. 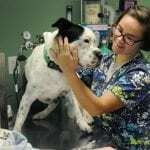 She worked at an ecological consulting firm for four years before beginning vet school. 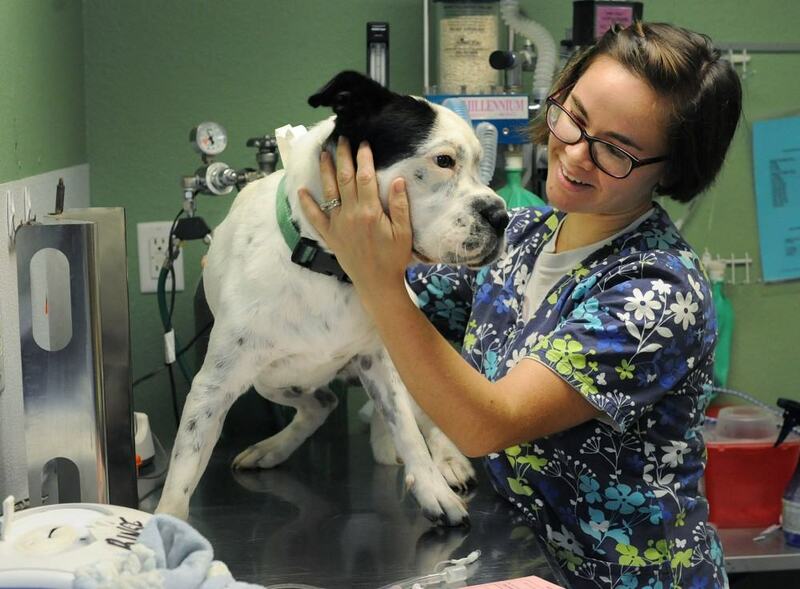 It was her involvement as a volunteer and board member at her local animal shelter that prompted her to study veterinary medicine; she knew that a career helping shelter animals and preventing pet overpopulation would be very fulfilling! 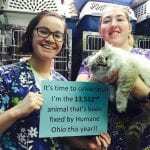 She moved to Toledo after graduation to start work at Humane Ohio. She lives with her husband Nate, adorable daughter, Meryl, dogs Kip (Border Collie), Hannah (hound mix), Poppy (Lab mix), and and three cats: Gabby, Charlie and Weebles. Dr. Terry Oakes (DVM) hails from Springfield, Ohio. He received his Bachelor of Science degree from the University of Findlay in 2008 and Doctor of Veterinary Medicine from The Ohio State University in 2013. 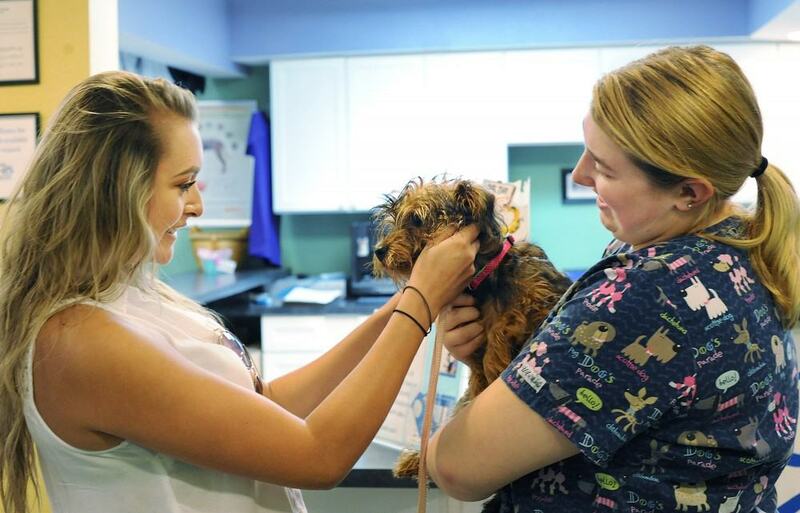 Dr. Oakes worked in a mixed practice in southern Indiana for 2 1/2 years prior to starting with Humane Ohio. He recently moved to the Toledo area and is excited about becoming familiar with what northern Ohio has to offer. During his free time, he enjoys spending time outdoors with his Doberman Pinscher, Josie and Miniature Schnauzer, Raven. Originally from Monroe, Michigan, Dr. Chelsea Szumigala received her Doctorate of Veterinary Medicine from Michigan State University in 2016. 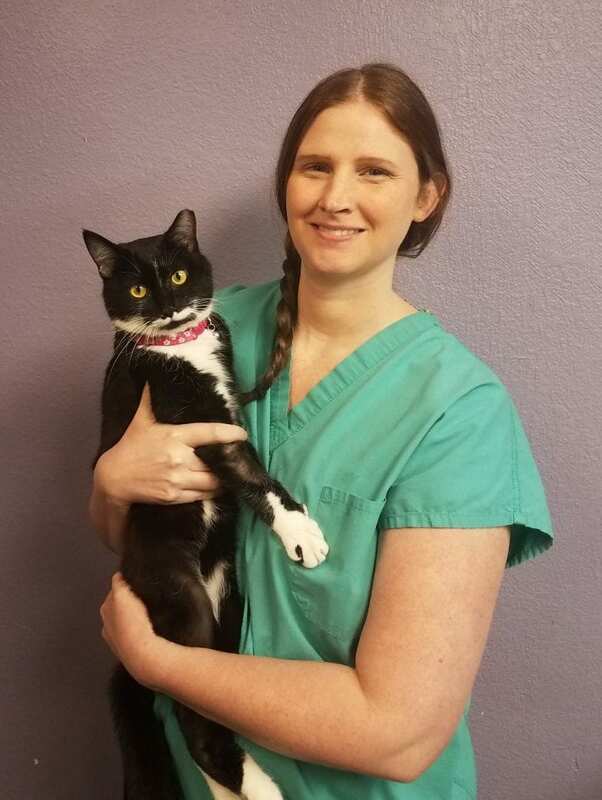 Dr. Chelsea got her Bachelor’s degree in Marketing and Management at Grand Valley State University in 2006 and worked for several years in Toledo before pursuing a career in veterinary medicine. After graduation, she worked in private practice for 1 ½ years in North Carolina before moving back to the area to be closer to family. Dr. Chelsea’s family includes her husband Adam, her daughter Mae, and her mischievous cat Scratchy Paws. She enjoys kayaking on Lake Erie and watching movies whenever she has free time. “No other disease or condition of companion animals takes as many lives as euthanasia. In fact, no other disease comes close.” ~ Janet M. Scarlett, DVM, Ph.D, Cornell University. This quote drives the staff of Humane Ohio because we recognize the key to saving lives is prevention through spay/neuter, which is the best defense against pet overpopulation. Humane Ohio focuses on prevention, not reaction.